The icon has reinvented itself once again. 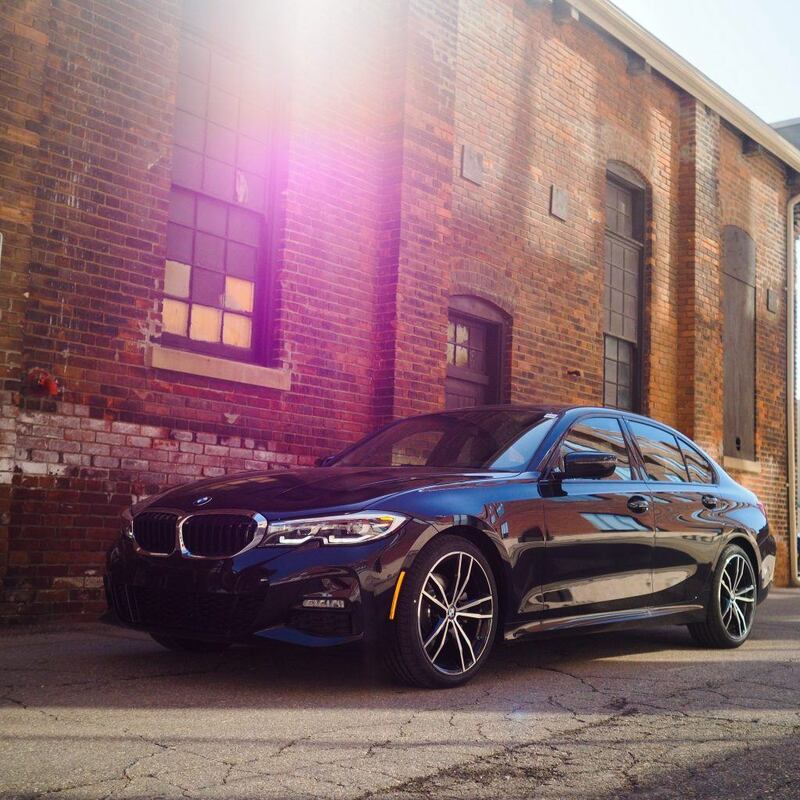 With its pioneering design language, the all-new BMW 3 Series Sedan stands for the dawning of a new era. 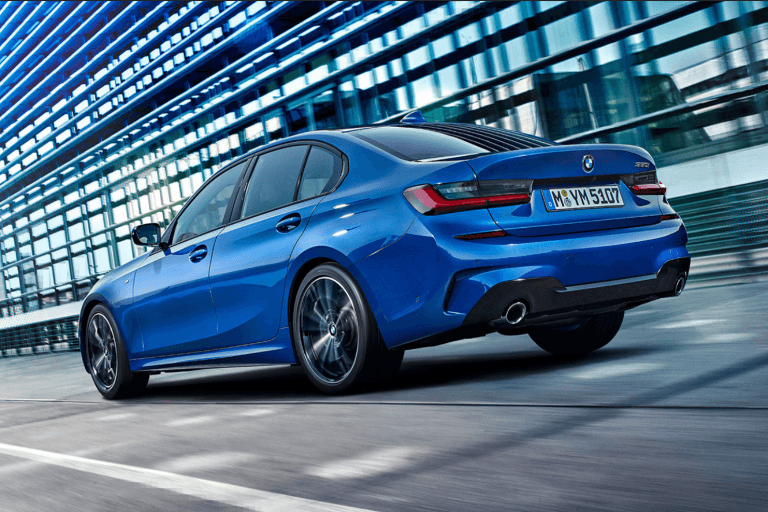 Propelling the ultimate sports sedan are even more powerful and efficient engines. 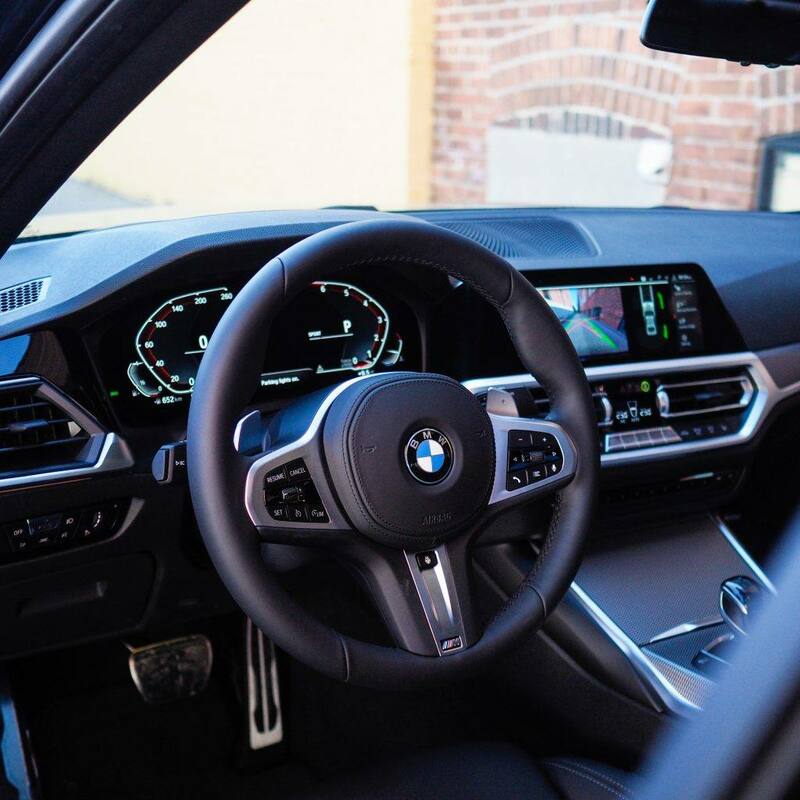 Surround yourself in BMW’s most advanced driving technologies – simply say “Hey BMW” and the all-new BMW 3 Series recognizes your voice and assists you with your every need. A DESIGN FOR THE AGES. The dawn of a new design language. 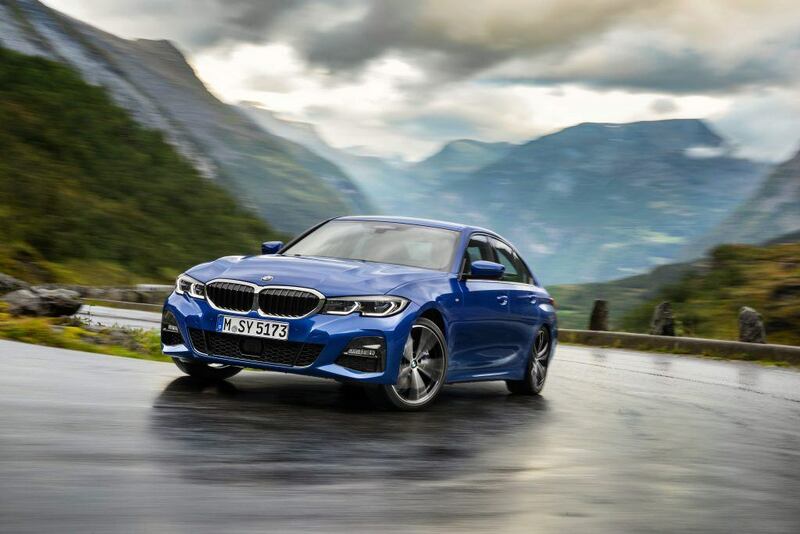 Through the new design language, the sports sedan is connecting the successful history with the future. 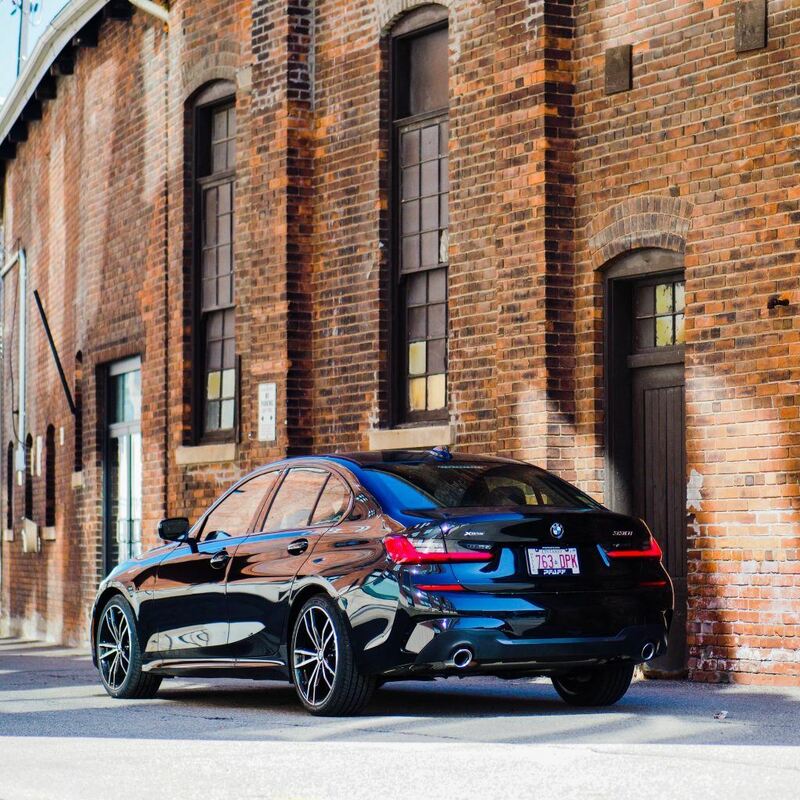 An appearance that meets the wish for sheer driving pleasure with every detail. 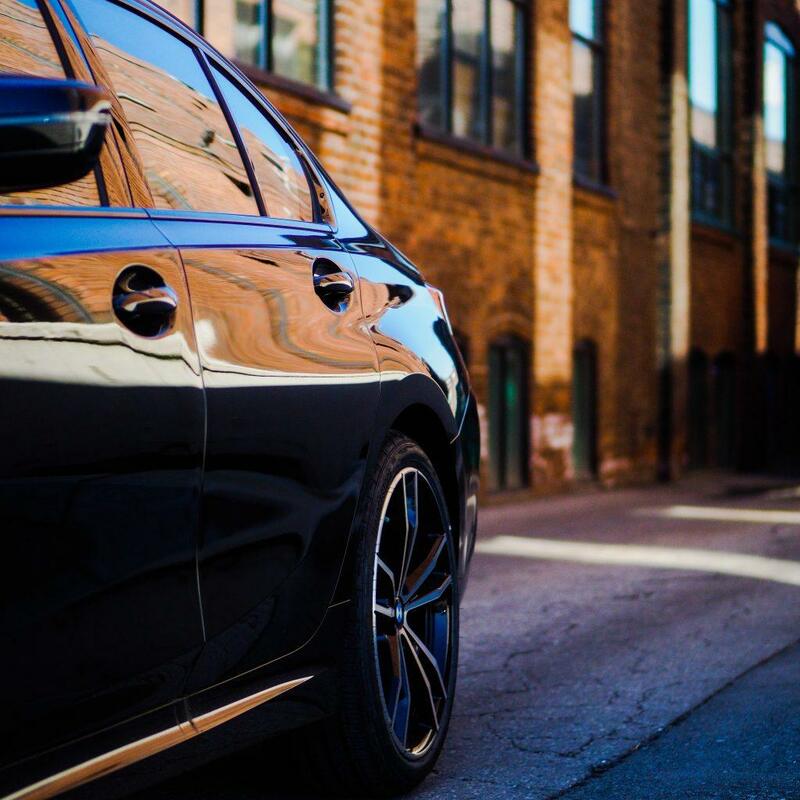 Flowing lines, which interplay with sculptured contours, deliver an unmistakable silhouette and maintain the sedan’s sporty yet elegant feel. Elegant, powerful rear. Honed design, rear lights with distinctive L-shaped light graphics. The iconic double kidney grill. 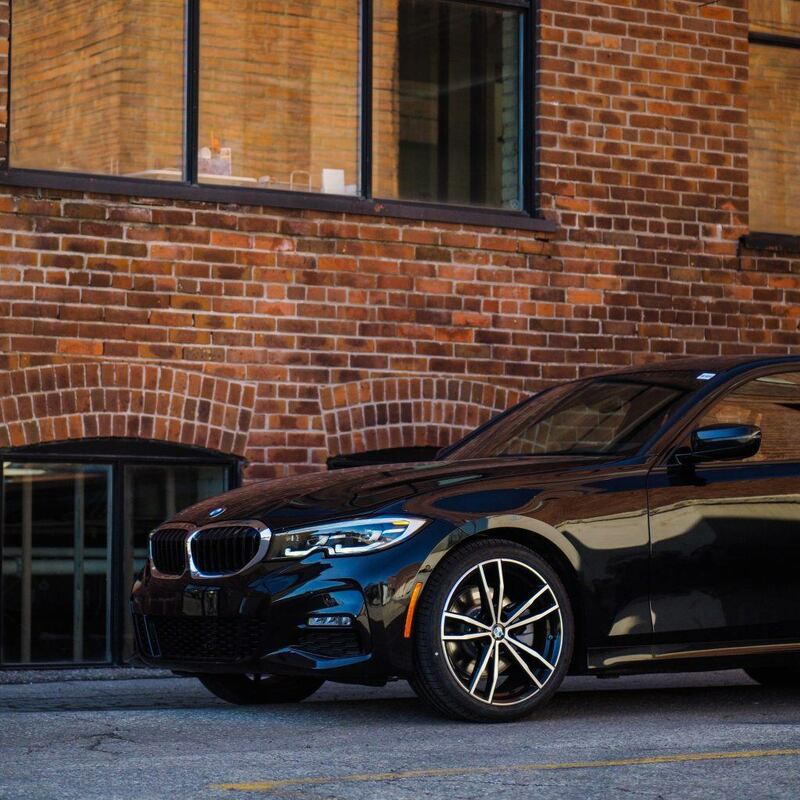 Sportier, broader, and more elegant: the new face of the BMW 3 Series. Twin tip tailpipes. 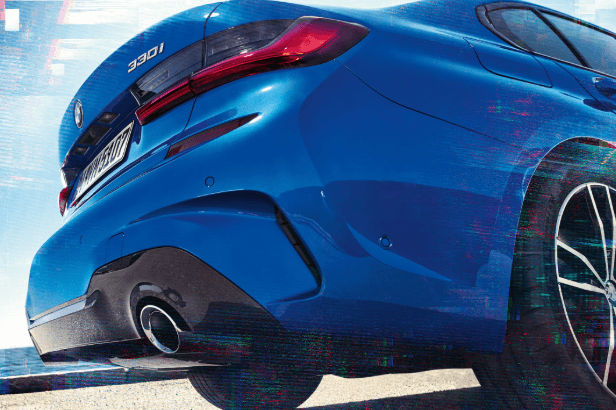 Adding style to the already confident and wider stance are BMW’s chrome tipped tailpipes. 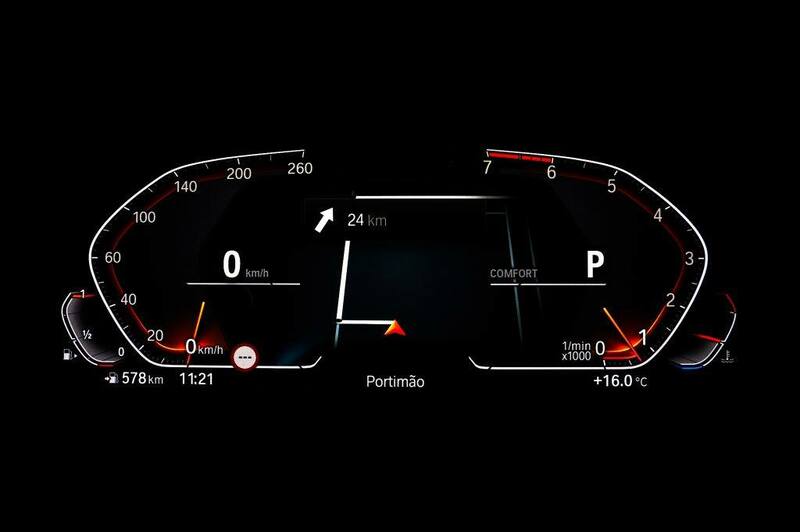 The optional Adaptive BMW Laserlight illuminates up to 530m. 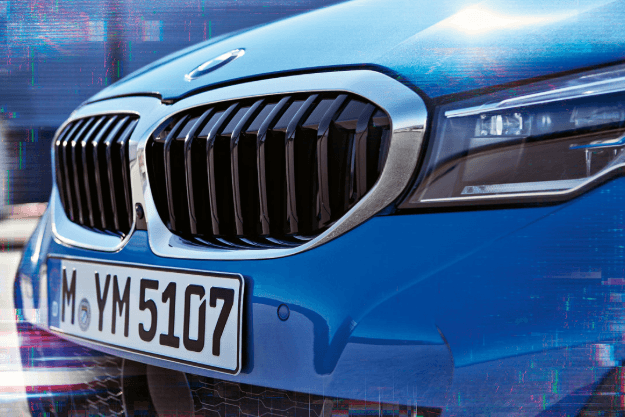 You'll find blue accents and the lettering "BMW Laser" in the headlight. 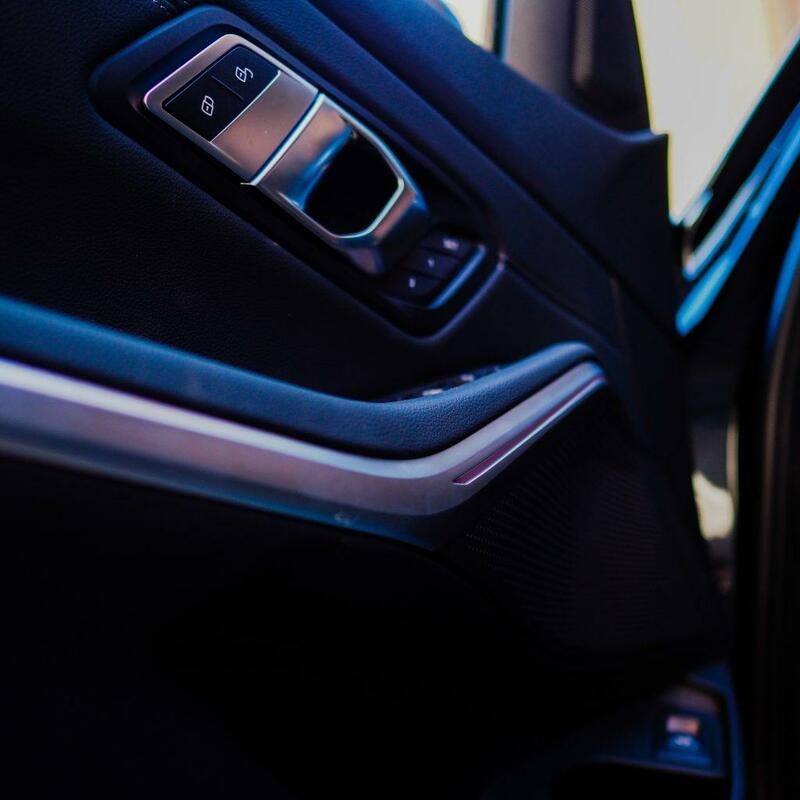 Experience a redesigned interior with unparalleled fit and finish. Featuring ambient lighting and a generously sized sunroof. 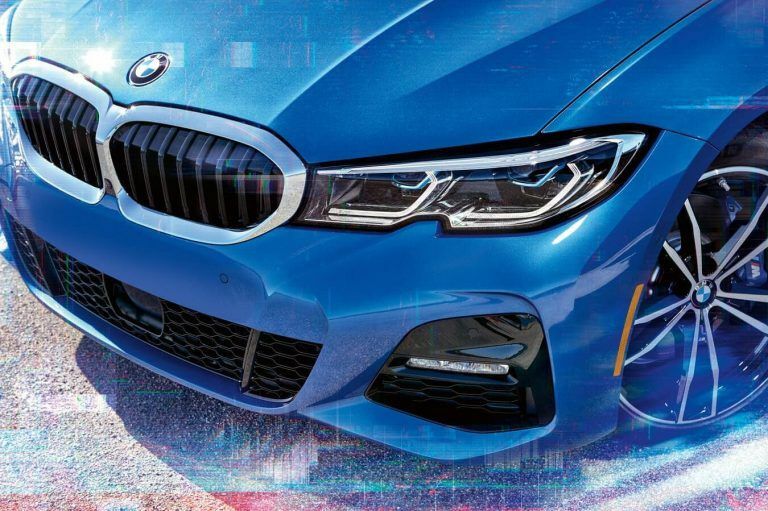 “Hey BMW” – Thanks to new connectivity technologies, you can now communicate with your BMW 3 Series. 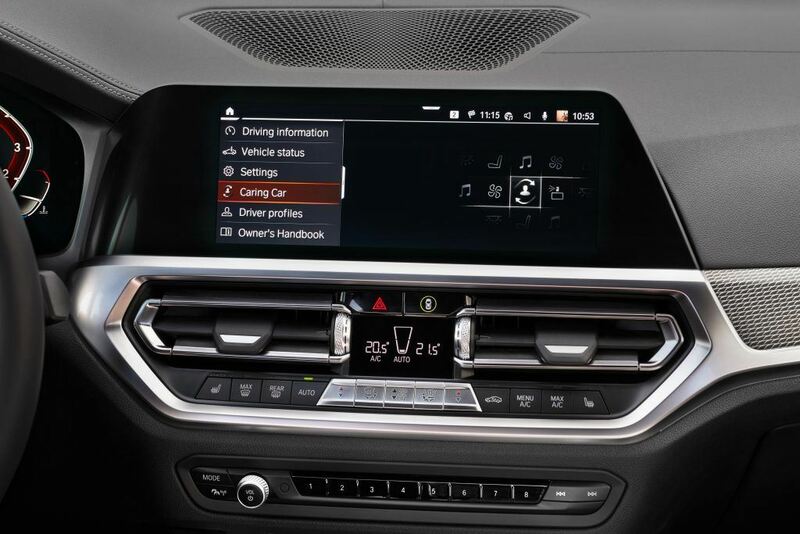 Together with the technology package BMW ConnectedDrive, services such as Connected Music or Remote Software Upgrade, you always remain linked with your BMW and the world. Communicate in a new and easy way with your vehicle using the BMW Intelligent Personal Assistant. It knows you, learns your behaviours to improve every day and helps out in any situation. Automate My Habits is an intelligent feature that learns and automates your preferred settings on request. 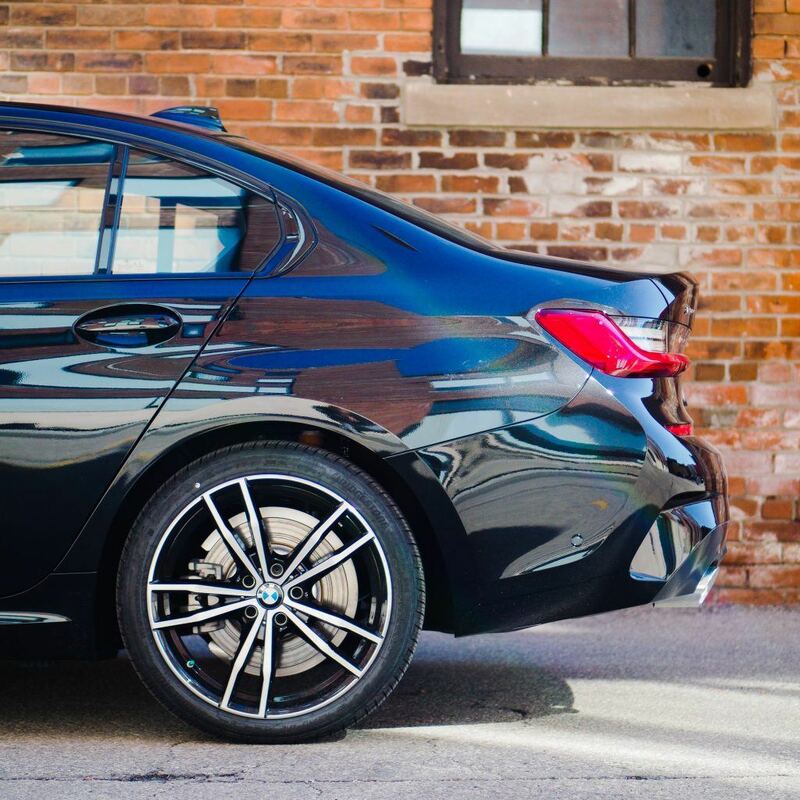 With Caring Car, your BMW will look after you. If you say; "Hey, BMW. 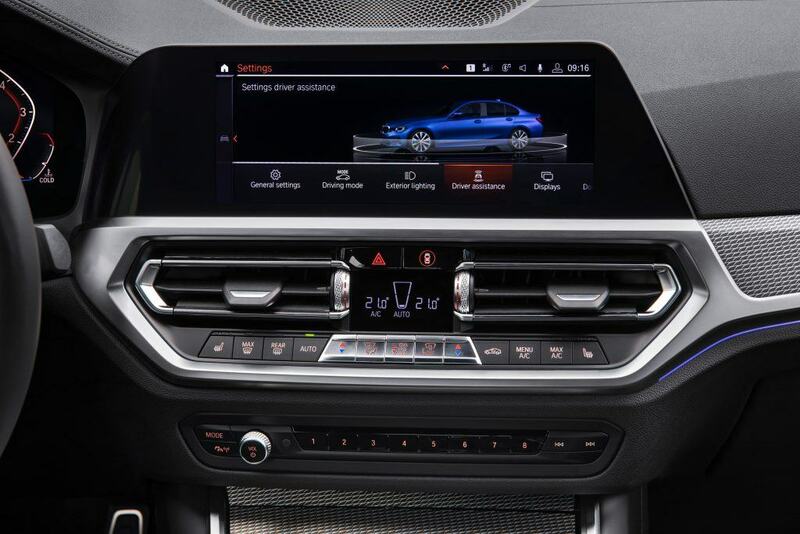 I'm tired", or "I'm feeling stressed", the BMW Intelligent Personal Assistant will activate the Vitalize or Relax Caring Car Program. 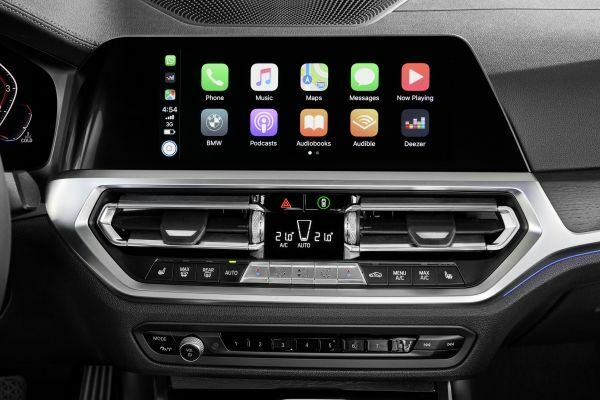 Apple CarPlay gives you remote access to telephony as well as apps like iMessage, Spotify, and Apple Music. With Remote Software Upgrade, upgrades are installed over-the-air. 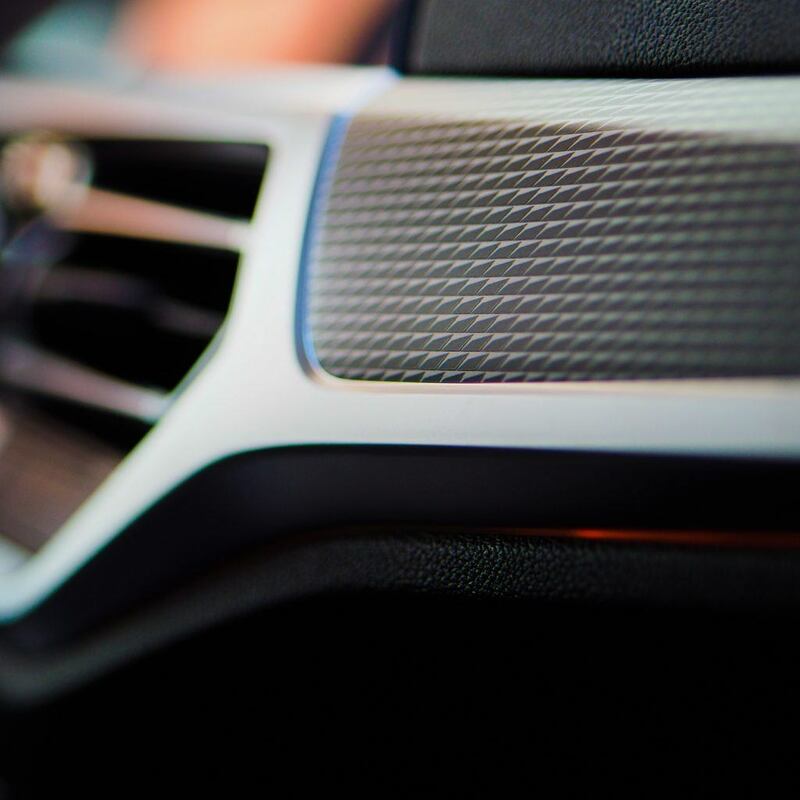 Convenient, reliable and stress-free - without having to visit our service department. 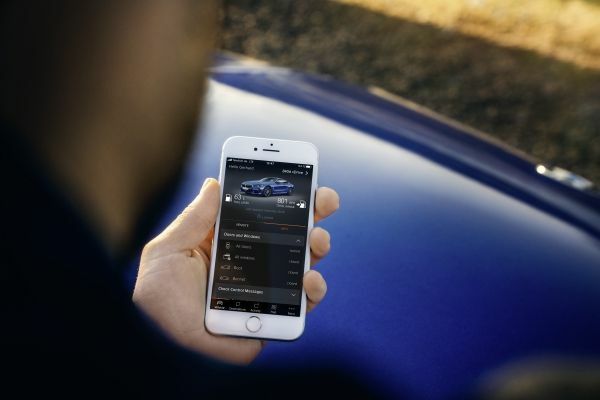 Using the BMW Connected app. passengers with your authorization can use the entertainment and navigation systems. 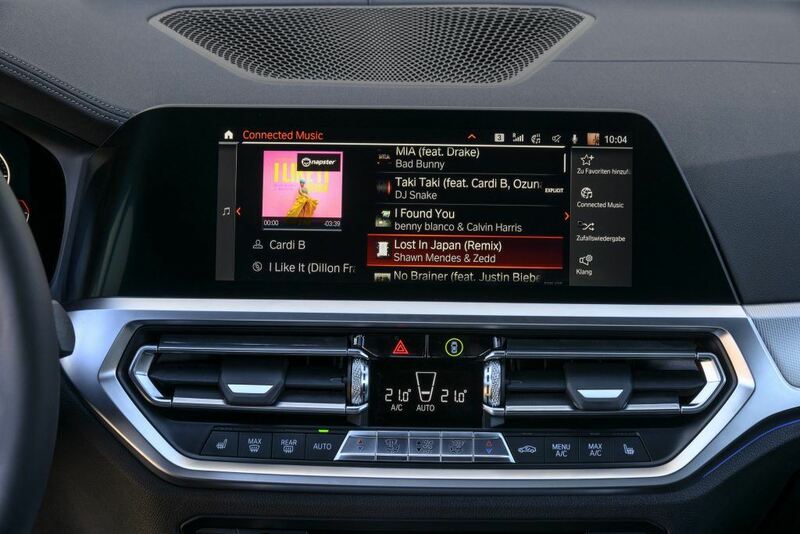 With Connected Music, you can directly stream as many as 30 million songs without any limits, using the SIM card installed in your vehicle. 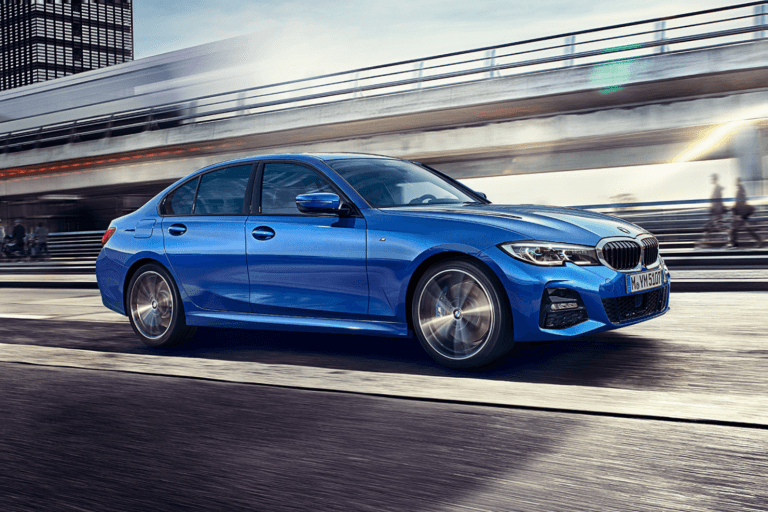 Excellent road-holding, sporty handling and high agility: the BMW 3 Series Sedan takes driving dynamics to a new level. 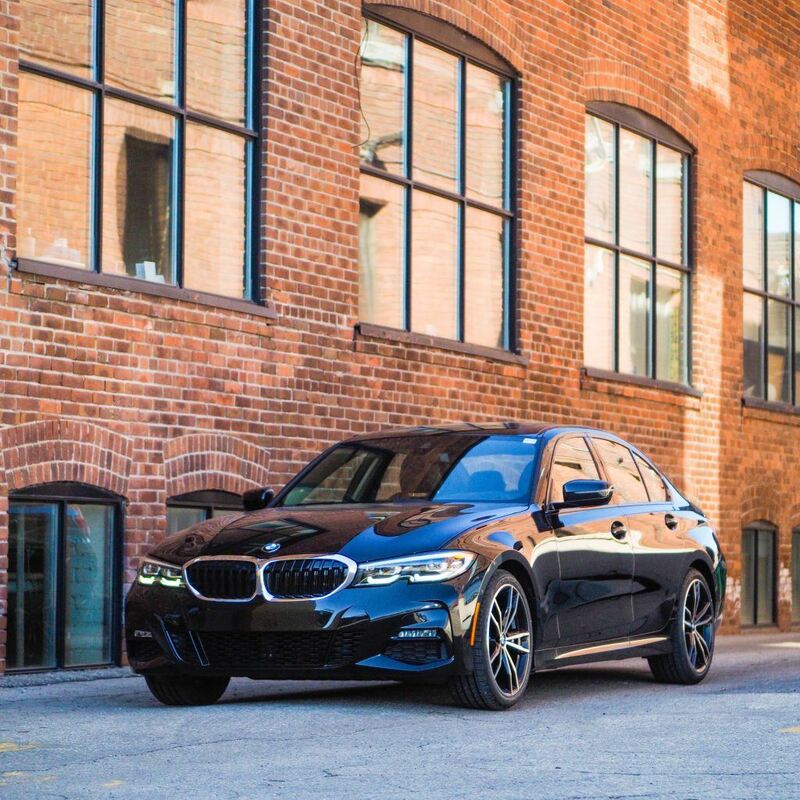 With advanced and even more powerful engines, perfectly tuned suspension components and an optimized weight distribution, it precedes it’s reputation as the ultimate sports sedan. 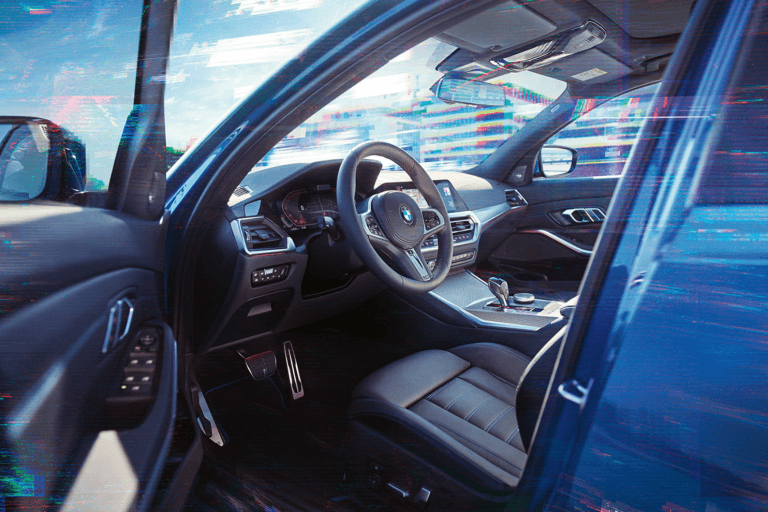 BMW's intelligent xDrive all-wheel drive system is ready to respond to changing weather conditions and road situations. 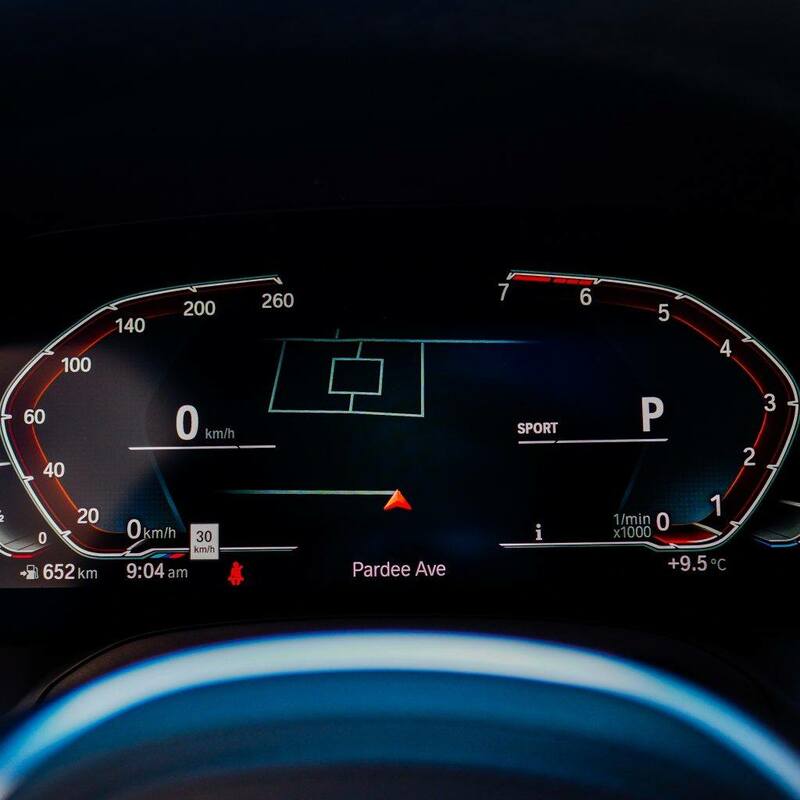 The Variable sport steering with Servotronic creates a direct and agile steering response and ensures that less physical effort is required to turn the wheel. 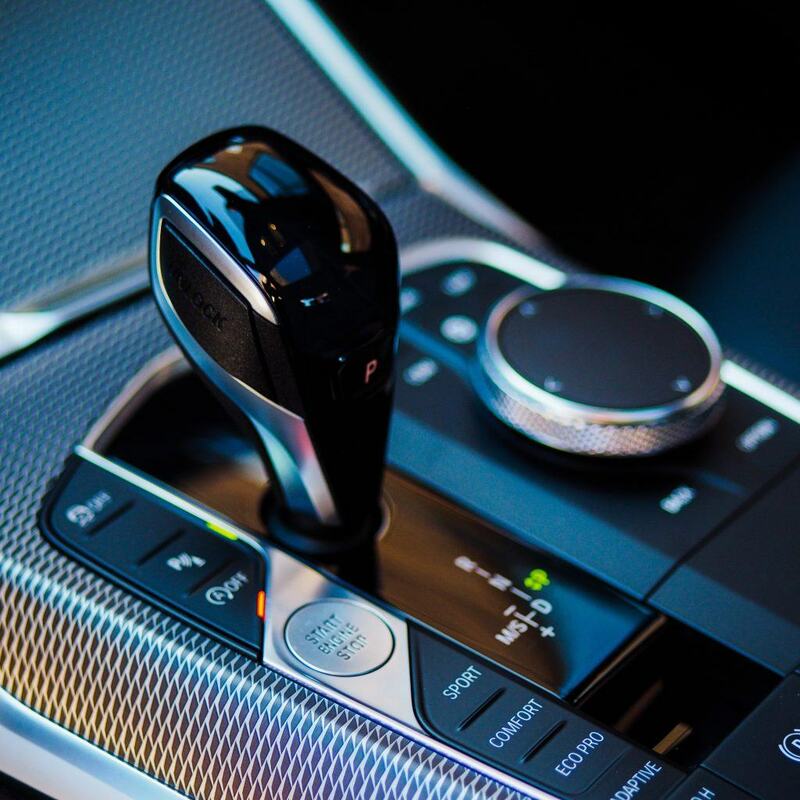 The 8-speed Steptronic Sport transmission offers incredibly sporty gear changes. 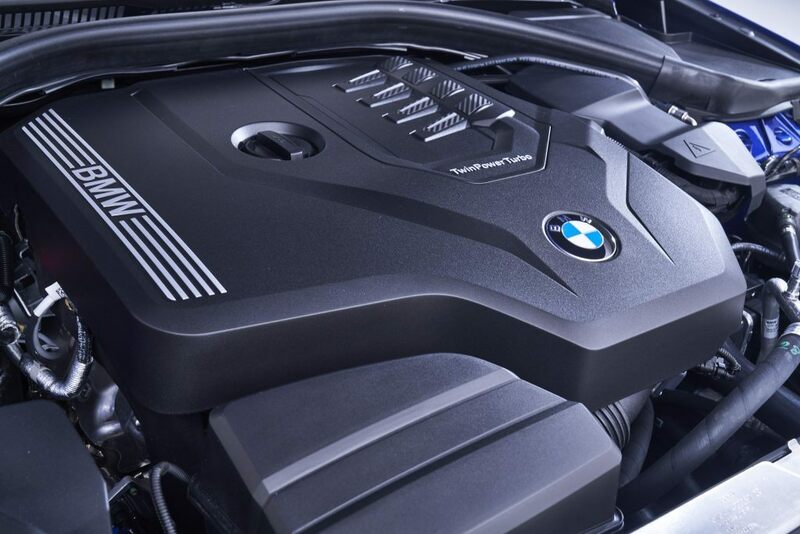 The new generation BMW TwinPower Turbo 2.0-litre 4-cylinder petrol engine guarantees maximum driving pleasure, while also being fuel efficient and low in emissions. 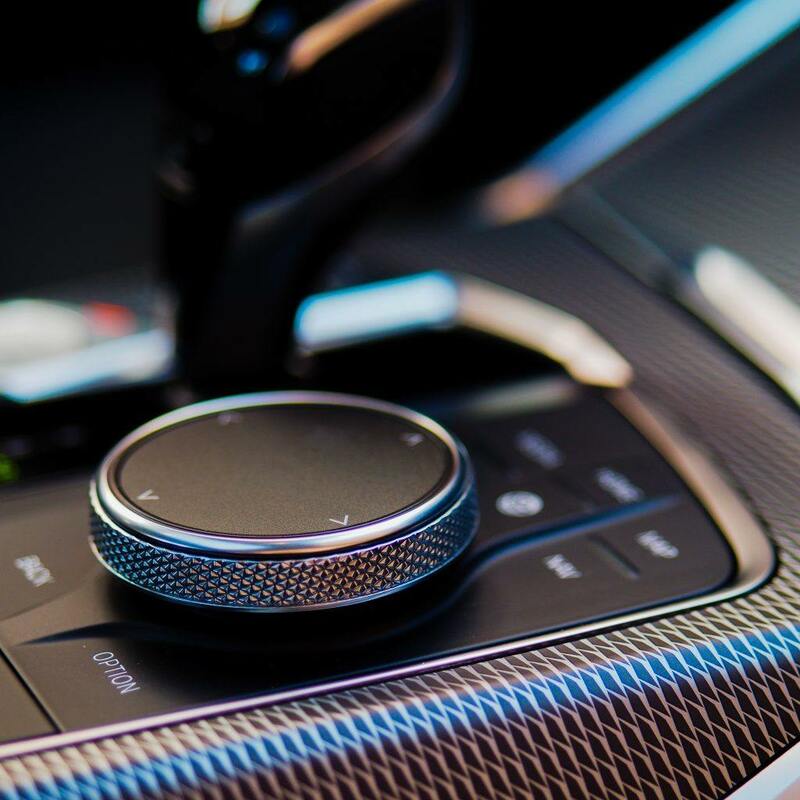 INNOVATION AT YOUR FINGER TIPS. 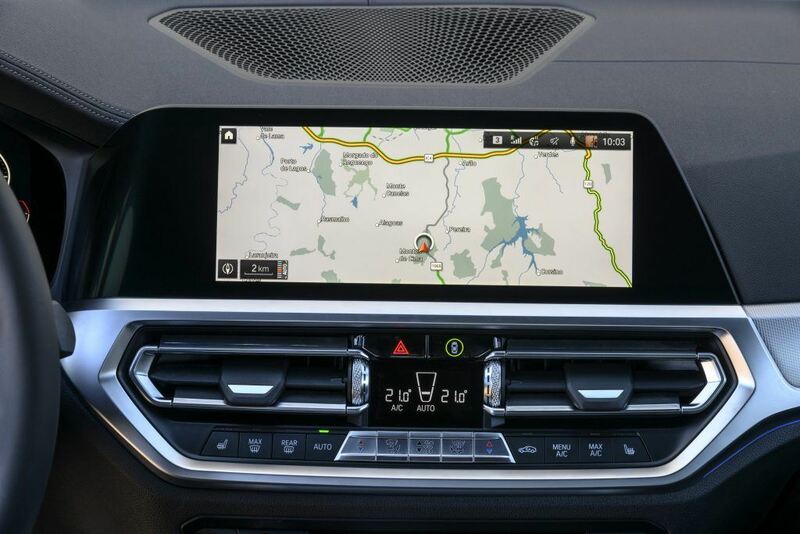 The BMW Live Cockpit Professional with navigation function includes a high-quality display network consisting of a high-resolution 10.25" Control Display that can be operated by touch and a digital 12.3" instrument display. 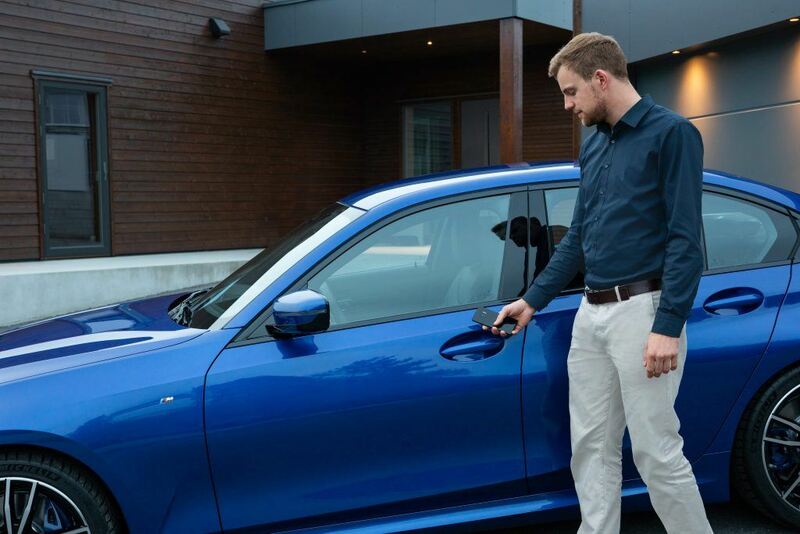 The Digital Key allows you to lock and unlock your BMW and even start the engine without needing a physical key. 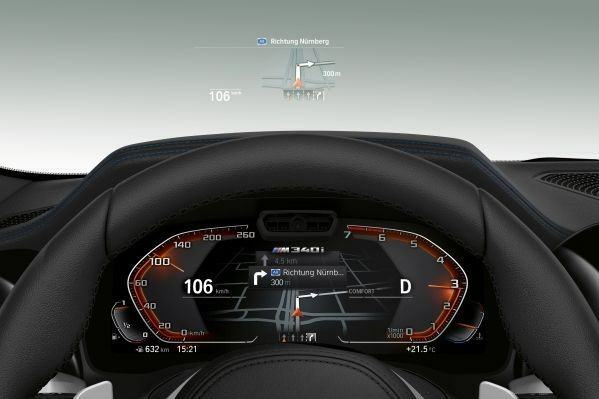 With BMW Gesture Control, certain functions can be operated by means of defined hand movements. 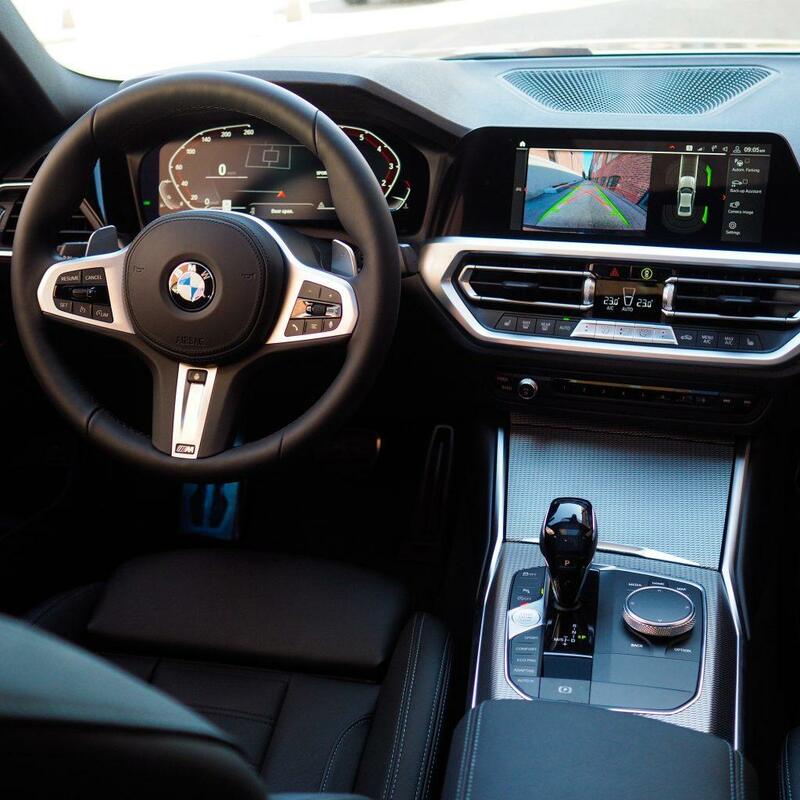 The innovative operating concept of the BMW iDrive 7 enables even easier operation of vehicle functions via gestures, speech, touch screen and iDrive control. 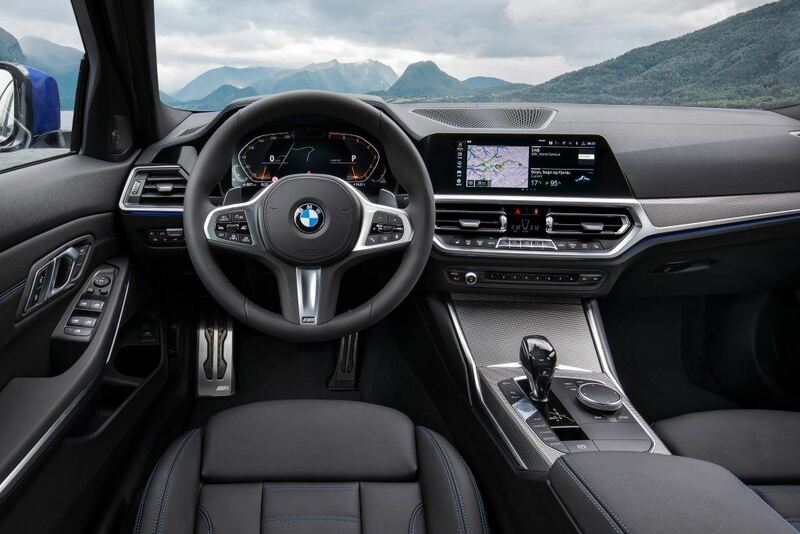 Driving Assistant Professional offers optimum comfort and maximum safety during critical or monotonous driving situations with steering and lane control assistant, local Hazard warning, Lane Keeping Assistant with active side collision protection. Parking Assistant Plus features the Surround View system including; Top View, Panorama View and Remove View 3D. 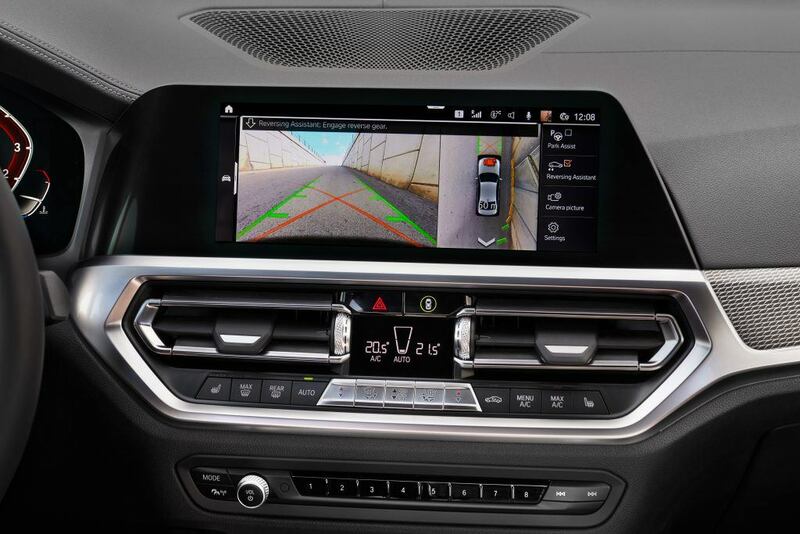 In addition, the Parking Assistant includes linear guidance and Reversing Assistant. Keep your smartphone in mind. 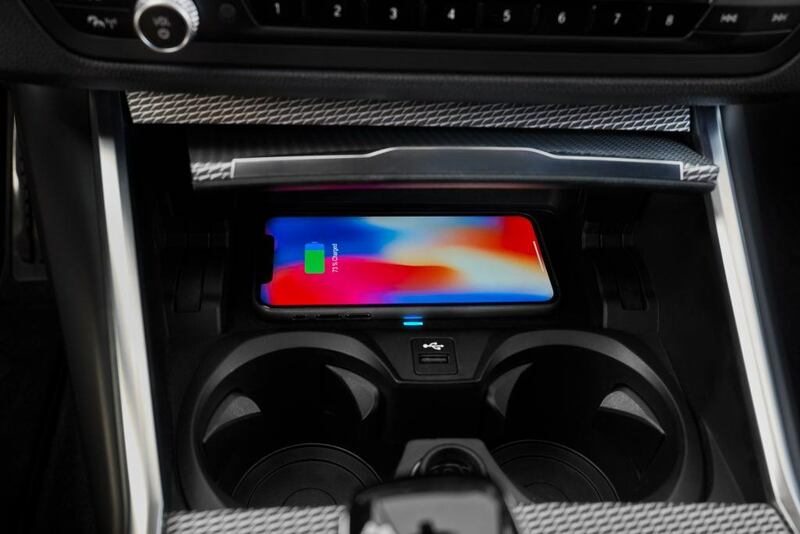 Conveniently enjoy wireless charging for certain smartphones. 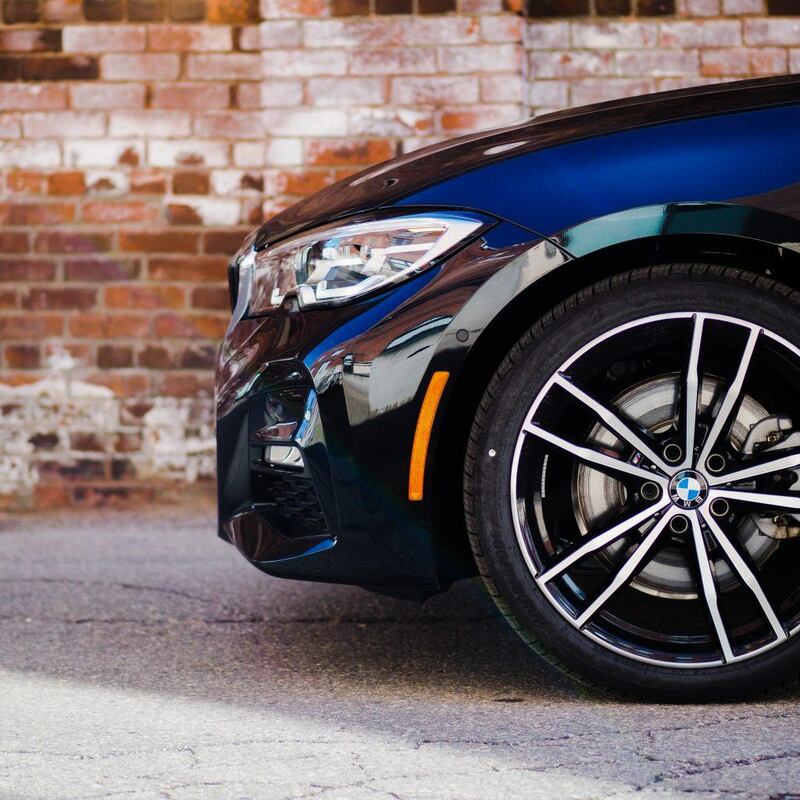 "THERE'S JUST SOMETHING SO NATURAL AND INTUITIVE ABOUT THE WAY IT ALL WORKS"
Read Pfaff Auto's Review on the all-new BMW 3 Series Sedan.